According to Monday’s edition of French newspaper Le Figaro, J.Crew’s President Mickey Dexler has confirmed the American brand’s arrival in Europe “within the next year and a half”. Once J.Crew’s first store in London has opened, the director will be targeting Paris where he has started looking for not one big flagship but three separate boutiques for J.Crew’s womenswear, menswear and kidswear collections respectively. The entire collection of the brand bought by TPG Capital and Leonard Green & Partners in 2010 for almost three billion dollars is currently already available in Europe. Just like other US retail heavyweights (Bloomingdale’s, Barneys, Macy’s) the brand has partnered up with online retail group FiftyOne to extend its delivery zone although part of its collection was previously also available to most markets thanks to its presence on Net-a-porter and Mr Porter. 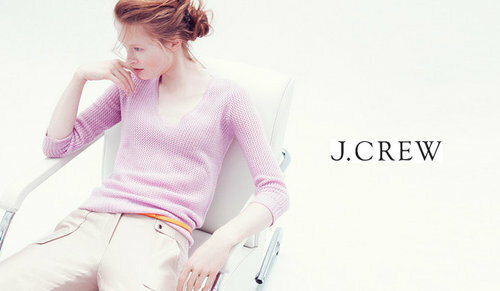 Since last March, J.Crew delivers to 107 countries and is available in no less than 41 different currencies. Size-inclusive brand Universal Standard has partnered with Rodarte for a new collection of plus-size ready-to-wear, marking Universal Standard's first collaboration with a luxury fashion label.